Vacuuming your home is a laborious task that you would rather not do. However, vacuuming your home is an essential chore that must be done. The same is true for vacuuming the catalog in a Pivotal Greenplum database (“Greenplum”). The proper maintenance and care is required for the Greenplum catalog to keep the database functioning at its peak efficiency. Pivotal Greenplum is a massively parallel, share nothing, open source analytical data warehouse built on top of PostgreSQL for petabyte scale big data analytics use cases. When Greenplum was originally created about 10 years ago, it was forked off of PostgreSQL version 8.2 (now updated to version 8.3 with Greenplum v.5). What is maintained in the Greenplum catalog? The Greenplum catalog is the brains of the database. Information about all objects and their associated dependencies are stored in the catalog and every database command will query the catalog before executing. There are 75 tables in the catalog and a separate catalog per user database. All catalog tables are important, but the two most heavily accessed tables in the catalog are the pg_class (relation list) and pg_attribute (columns per relation) tables. When catalog tables become bloated (actual pages greater than expected pages) catalog queries can become sluggish and slow down database processing. Why does a catalog need to be vacuumed? Both Greenplum and PostgreSQL use a locking/concurrency model called Multi Version Concurrency Control (MVCC). With this model, writers do not block readers during update and delete operations. New versions of rows are created during data manipulation operations rather than physically deleting or updating in-place the original version of the row. The old versions of rows will continue to occupy physical space until a vacuum command (such as “vacuum pg_class”) is issued to free up the physical slots used by the old versioned rows. If a catalog vacuum is run at the appropriate time then newly inserted rows will reuse the space freed up by the last vacuum. If there are no free slots to be reused then new rows will be inserted at the end of the catalog table. The append process, which increases the size of the catalog table, is called bloating. When bloating becomes severe, a vacuum full is required. This type of vacuum operation will be discussed in more detail later in this article. A vacuum recovers space used by updated or deleted rows. A vacuum knows what rows to remove by referring to a free space map (FSM), which tracks the locations of rows whose space can be released back to the OS. It is a best practice to create a script to vacuum/analyze the Greenplum catalog and regularly schedule it using either cron or some other job scheduler such as autosys. The frequency that this script is scheduled depends on your application’s usage pattern. At a minimum, it is recommended that you vacuum/analyze the catalog at least twice a day, seven days a week. A typical schedule is before the start of business processing and after your major ETL processing occurs. Additional iterations of the vacuum/analyze script should be added if excessive bloating is detected in the catalog. In addition, this script must be run for every database in the Greenplum instance including the Greenplum gpperfmon database. Be aware that a vacuum can block update, delete, analyze and other vacuum operations while it’s running, but a catalog vacuum/analyze elapsed time is normally quite short in duration and should not impact ETL operations. Furthermore, the most recent versions of Postgres 9.x have an automatic vacuum feature that will autonomously vacuum the catalog based on predefined thresholds. However, this option is not available in Greenplum versions 4.3.x or 5.0.x. It is on Pivotal’s radar and may be added in future Greenplum releases. A best practice in managing your Greenplum environment is to store catalog table information such as schema, table name, number of rows, number of pages, and size of table in a historical table. This will provide key metrics that can be used to determine when a catalog table increased in size or became bloated. Listed in figure 1 is a query and its associated output from a sample catalog_history table that shows the pg_atribute table jumping in size from 196GB to 247GB, potentially bloating the catalog. Knowing the database name and approximate timestamp when this table size change occurred can provide invaluable information to help optimize ETL operations and minimize bloating. Some rows have been deleted for display purposes. What contributes to catalog bloat in GP? Catalog bloat is caused when there are no free slots in the pages to be reused for new data rows. When this occurs, new rows are written to the end of the table, which increases the size of the table. A major contributor to catalog bloat comes from the creation and dropping of database DDL objects. Some examples of these catalog bloat use cases are listed below. Gpload is a Greenplum fast ingest utility that loads data into a Greenplum database. The gpload utility creates an external table, a mapping of the file input to the relational table, and is defined using a YAML configuration file. Listed in figure 2 is an example of a YAML file. By default, every time you load a table using the gpload command (gpload -U hjg -h hostname -p port_num -d xxxdb -f yaml_sample_hjg) an external table is created and dropped per gpload execution. This object creation and destruction can create catalog bloat in the pg_class and pg_attributes tables, when a gpload utility is executed. In addition, small, frequent loads in a micro-batching use case can further exacerbate the bloating situation due to the increased usage of external tables. How bloat caused by Gpload be mitigated? For more details on gpload and its configuration file please refer to the following link: https://gpdb.docs.pivotal.io/4390/client_tool_guides/load/unix/gpload.html. To reduce external table usage in a micro-batching use case, decrease the frequency and increase the volume size of the gpload operations. Finally, to eliminate external table creation and deletion, gpfdist should be used instead of gpload so that the external table will be reused multiple times. With gpfdist, the external table is created once and used with an insert command such as “insert into target_table select * from source_file_ext”. How do you find large external table usage? How do you identify catalog bloat? Greenplum provides a view named gp_toolkit.gp_bloat_diag to monitor table bloat and it is described in figure 3. Based on the value of the bddiag column, you can determine the degree of the bloating. If the table bloat is in the moderate to significant level, then a vacuum full is recommended. The issue with this view is that it does not consider the size of the table and its difficult to quantify what significant bloat actually means. The query listed in figure 4 allows a user to define their own bloating thresholds and avoid false positives by reporting on small catalog tables. The accuracy of the view is dependent on up to date statistics, so frequent analysis of the entire catalog is required. The catalog tables have numerous B-tree indexes to optimize queries. Since the data in the catalog is constantly evolving, these indexes can also get bloated. A bloated index can adversely affect the performance of critical catalog queries when the query plan uses a table scan rather than an index lookup. The query listed in figure 5 can be used to identify bloated catalog indexes. Reindexing the catalog’s indexes on a regular basis is a best practice. For example, “reindex pg_catalog.pg_class” will drop and recreate all of the indexes associated with the pg_calss table. This is a relatively quick operation, but an exclusive lock on the catalog table is required during the reindex. Therefore, a maintenance window for the reindex operation is recommended. 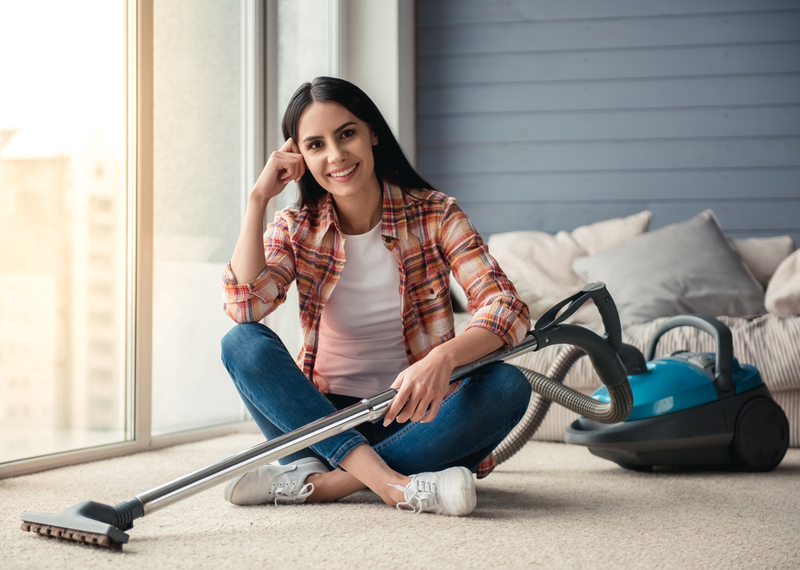 A reindex does not alleviate the need for a vacuum full on the catalog, but it can delay the need for a vacuum full until a larger maintenance window can be arranged. In a severe catalog bloating scenario, high CPU may be observed on the master host as catalog query access plans substituted a table scan for a quick index lookup. This scenario can be easily observed using the Greenplum Command Center. It is a best practice to monitor and alert when catalog bloat crosses a predefined threshold such as actual / expected pages is greater than 2 and/or catalog index size is greater than 25% of the size of its base catalog table. The SQL in figures 4 and 5 can be used to collect the metrics required to create this alerting mechanism. The alerting thresholds should be managed via metadata or parameters so that the thresholds can be easily adjusted. To simplify this alerting process, focus on the most commonly bloated tables which are pg_class and pg_attribute. No matter how good your catalog maintenance is, bloating is inevitable! The only way to remediate catalog bloat is by running a vacuum full on the catalog. A vacuum full has to be performed with extreme caution. It is recommended that the database be placed in restricted mode (gpstop – M fast/ gpstart –R) to avoid any user interaction while the vacuum full is running. Any interruption of the vacuum full process while it is running may cause catalog corruption and will require Pivotal to be contacted to verify or repair the catalog. As a best practice, a regular maintenance window should be scheduled quarterly to vacuum full the catalog. A small to medium (<200GB) vacuum full should take approximately 15–30 minutes and a large (300GB+) vacuum full can take 45–90 minutes. Times may vary depending on how bloated and fragmented the catalog is. Based on past experience, the pg_attribute table typically takes the bulk of the time during the vacuum. Vacuuming is certainly a chore whether it’s for your home or a Greenplum database. Being proactive in monitoring and maintaining the Greenplum catalog will keep your Greenplum environment operating at peak performance levels. Any catalog maintenance required can be scheduled within normal scheduled work windows rather than as unexpected emergencies. Hopefully, when Greenplum implements the autovacuum feature, vacuuming the catalog will be as autonomous as a Roomba in your living room.